On an established street in a seaside neighbourhood, Bruce Wilkin of Bruce Wilkin Design found the ultimate location to build a modern duplex. Respecting the community’s existing architectural landscape that favours century-old homes, Wilkin designed a fairly traditional facade while the interior tells a different story. High on the livability scale, the outcome is 2100-square-feet on three floors with three bedrooms, three and one-half baths and a family/media room with direct access to the back yard. 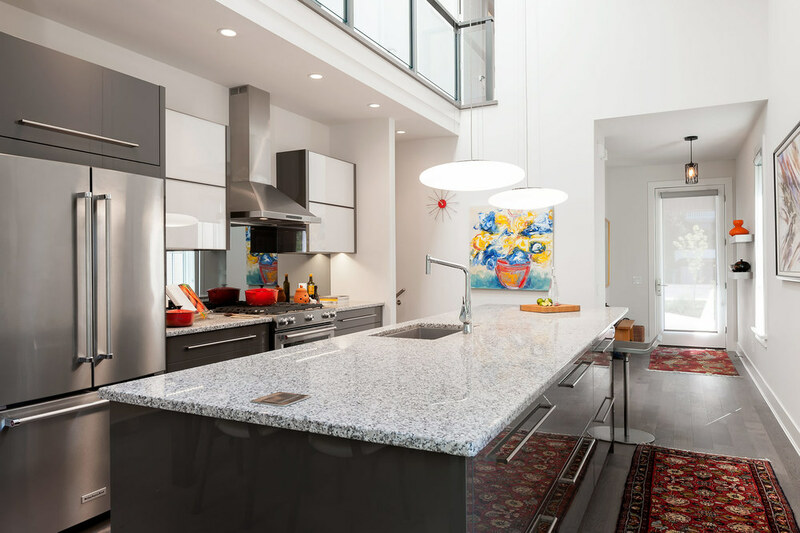 Adhering to stringent duplex zoning criteria regarding square footage, Wilkin created a contemporary loft-like interior that capitalizes on vertical space. Bruce Wilkin is a local, award-winning builder-designer and the principal of Bruce Wilkin Design. Along with being listed in “House and Home” magazine as one of Canada’s top 100 designers, Bruce is often quoted in “Style at Home” magazine for his expert opinions. I met with him over coffee to discuss his take on design and what is happening locally with design and architecture. Bruce Wilkin's Las Vegas home featured in local real estate magazine's vintage home tour. 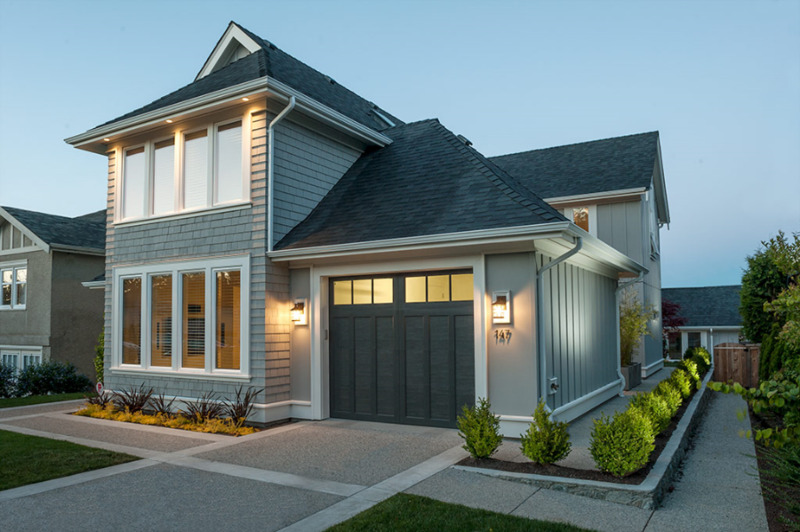 Overlooking a sheltered bay in View Royal, this Hamptons-inspired home with authentic shingle-style details connects to its natural surroundings with multiple windows, decks and patios. An anomalous transition for a couple looking for a place to retire, these professionals sold their condo in Vancouver and upsized to a custom-built waterfront home on Vancouver Island. The homeowners hired Bruce Wilkin from Bruce Wilkin Design to design a home where they could fully embrace their active west coast lifestyle and create ample entertaining space with seamless transitions to the outdoors. Bruce Wilkin designed home is the feature home in the premiere issue of at HOME Victoria Magazine, February, 2015. How do you keep a white kitchen from feeling like any other white kitchen? Dramatic lighting makes a big difference, as is the case with these show-stopping Currey and Company pendant lights, which are nearly two feet in diameter. Designed by Bruce Wilkin in Victoria, the space gets extra wow thanks to the high-gloss custom ceiling; with lights set on a dimmer at night, the ceiling practically sparkles. © COPYRIGHT 2016 BRUCE WILKIN. ALL RIGHTS RESERVED.